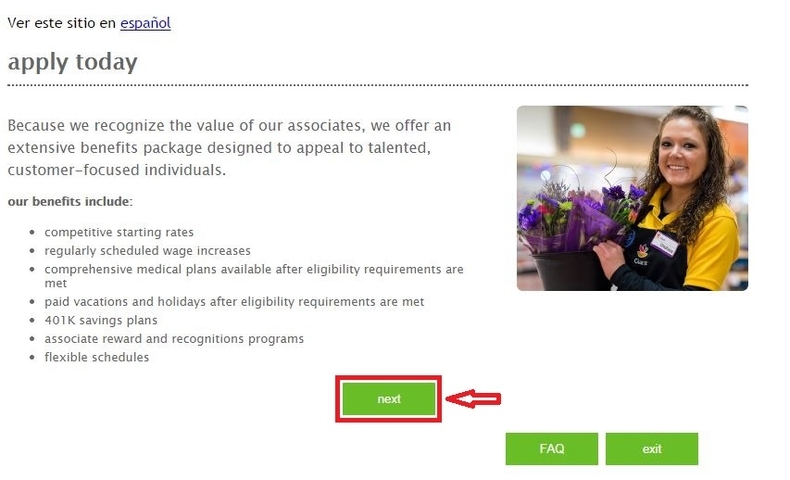 To apply for a position at Giant Food, you need to browse the careers page by visiting giantfood.com/careers for information like benefits, employment FAQs and job types. You can start by choosing the job type you are interested in. Before you are going to join in the team, you'd better know about the employee benefits. After knowing about the benefits, you can click the "next" button to continue. 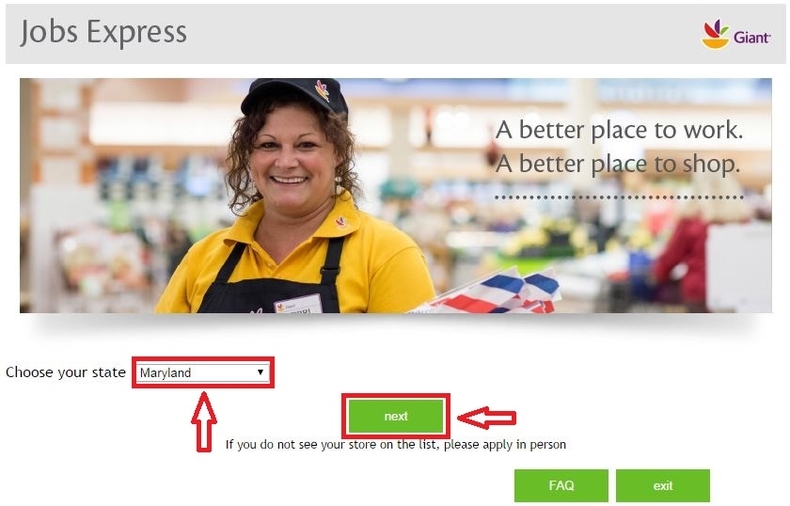 You need to select the state, city and location step by step and then click "next" to move on. Provide your information such as name, zip code, phone number and SSN. All fields with an asterisk must be completed. Select the primary position you are interested in from the drop-down menu and click "Update". And then the overview of the position will be displayed. 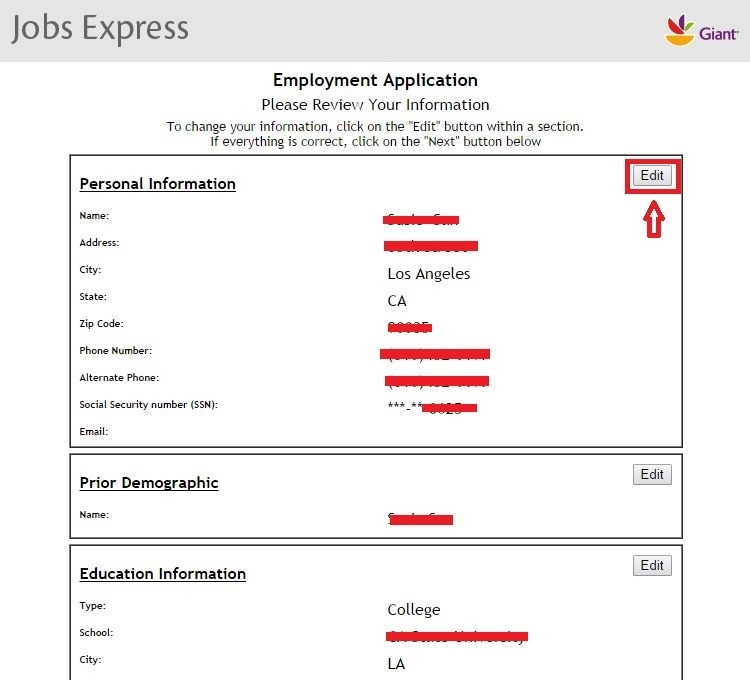 You can click the "Apply" button at the bottom if you are going to apply for the position you selected. Follow instructions to answer questions and provide information about your education, employment history and personal references etc.. Once you have finished the questions, you can click the "next" button to continue. 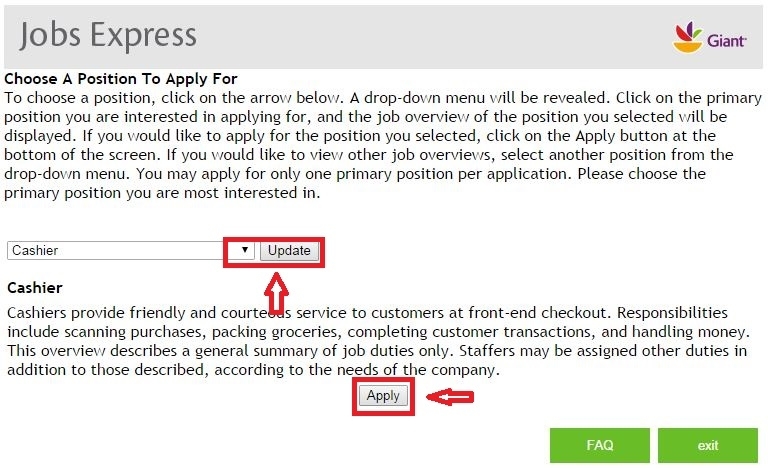 Your information will be submitted and you can not go back and change your responses after you click the "NEXT" button. Review the information you provided before. You can click on the "Edit" button to change the information of each section. 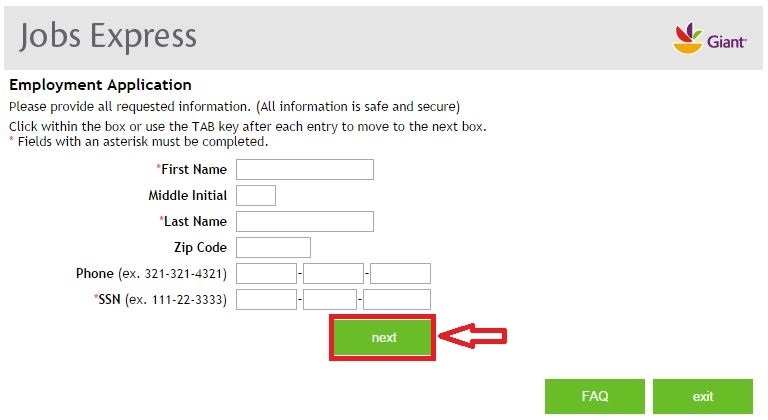 If all the information is okay, you can click on the "Next" button below down the form. In the next pages, you need to read and agree with the statement and meanwhile answer some additional questions. 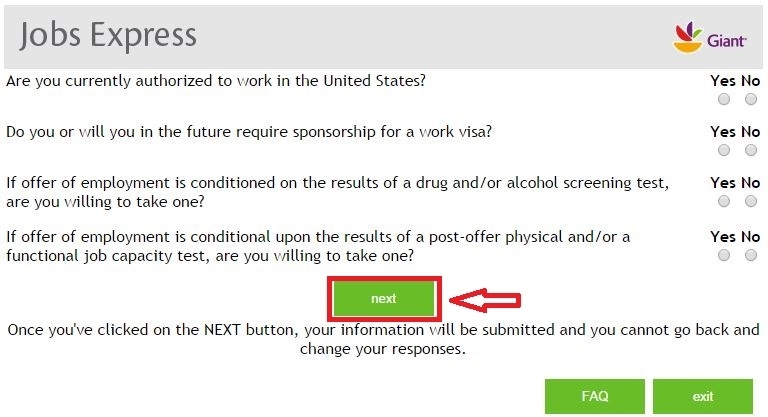 After completing all the steps, you can click "submit" to end the whole application process. Then a hiring manager will review your information. 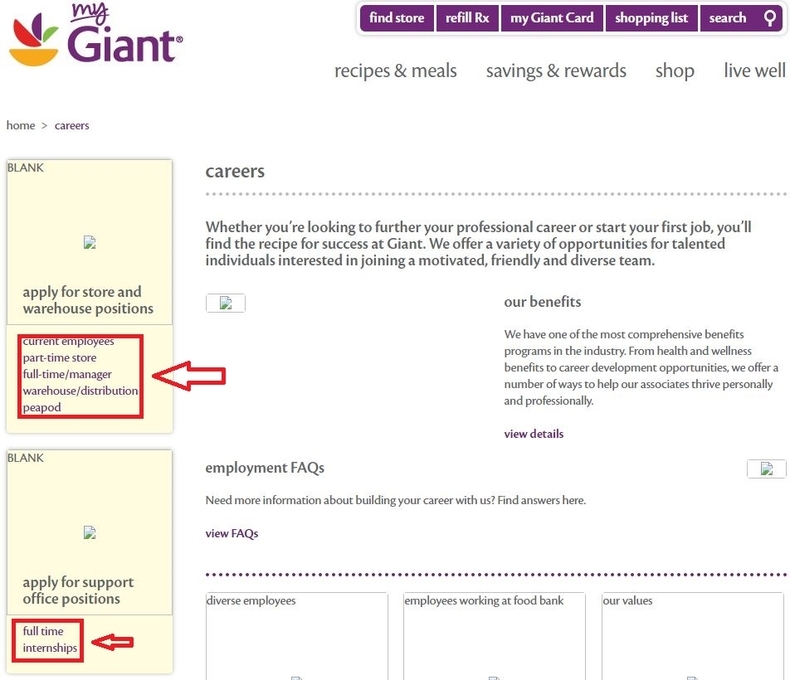 Click giantfood.com/careers to apply for Giant Food jobs online.